1. 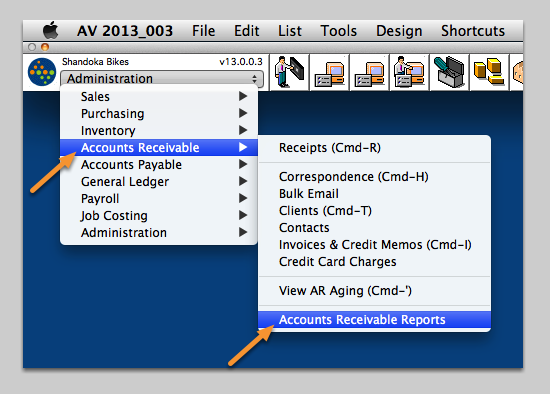 Open the Accounts Receivable Reports window. Navigate to Accounts Receivable ➤ Accounts Receivable Reports. 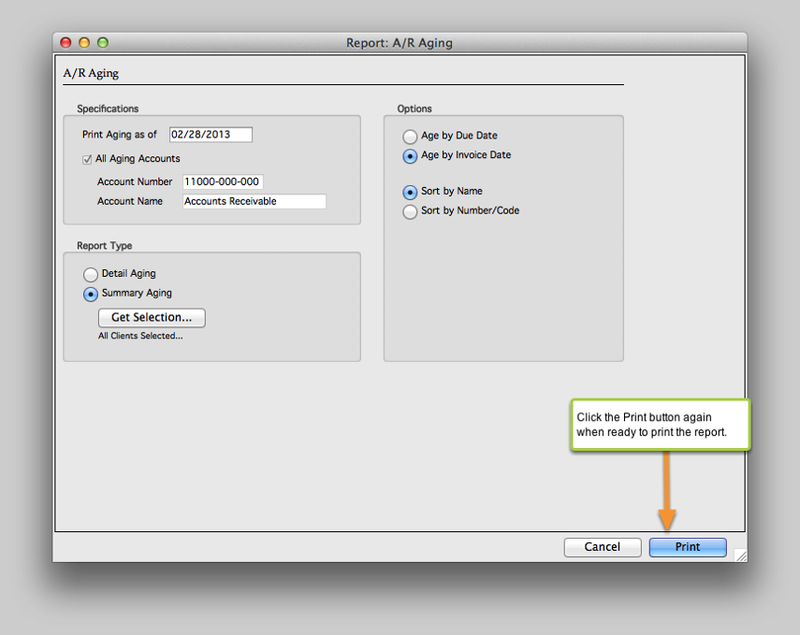 Select the A/R Aging report and click Print. Print Aging as of: The cutoff date for receivables included in the report. All Aging Accounts: If you have more than one A/R Aging GL Account you can either select to include all of them in the report or just one specific GL Account. Include Deposit Liability Items: If selected, the report will include items from the Client Deposits Liability account on the aging. If left unchecked, the report will only consider balance due items posted to the AR Aging asset accounts. 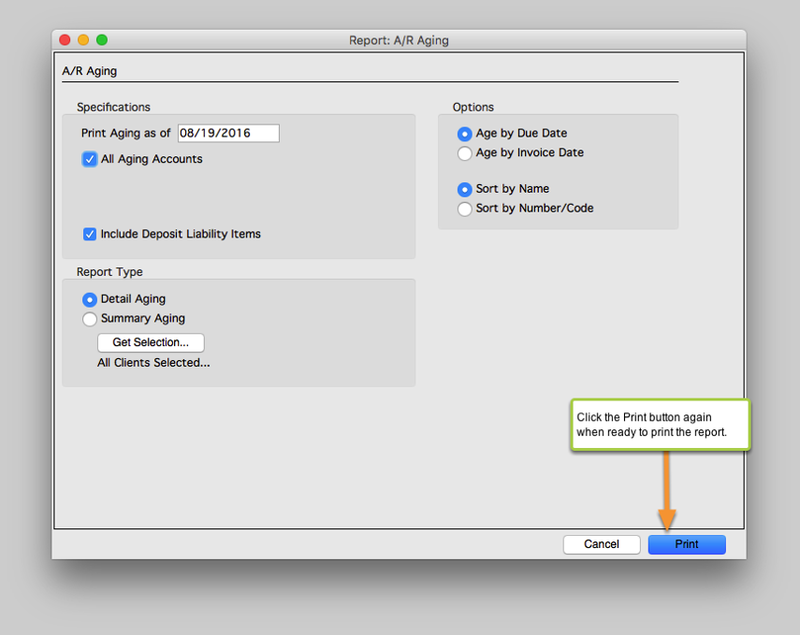 Account Number & Name: If the All Aging Accounts box is unchecked, use this tool to select a single Aging account to include in the report. 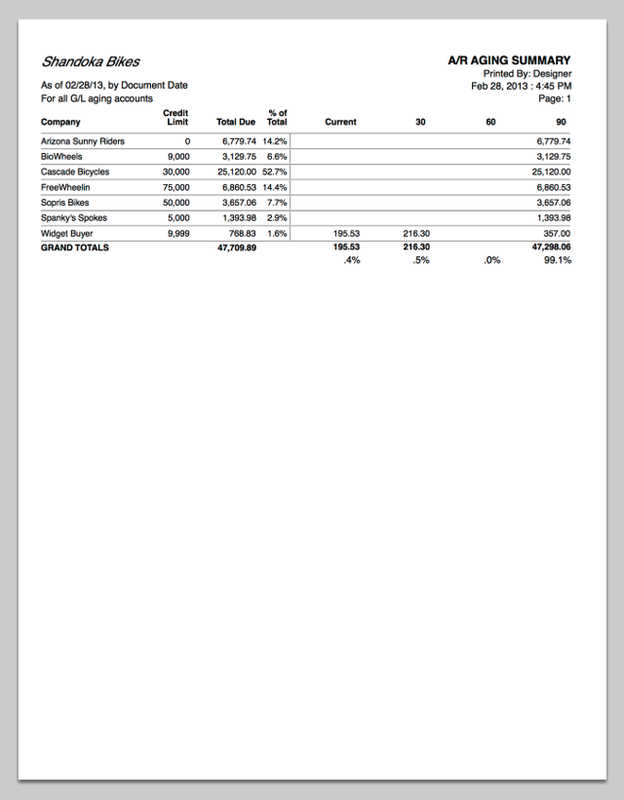 Detail Aging vs Summary Aging: The Detail Aging report shows each A/R Line Item for each Client. The Summary Aging report shows a total for each Client. Get Selection: Click the Get Selection button to query for a list of Clients to run the AR report on. 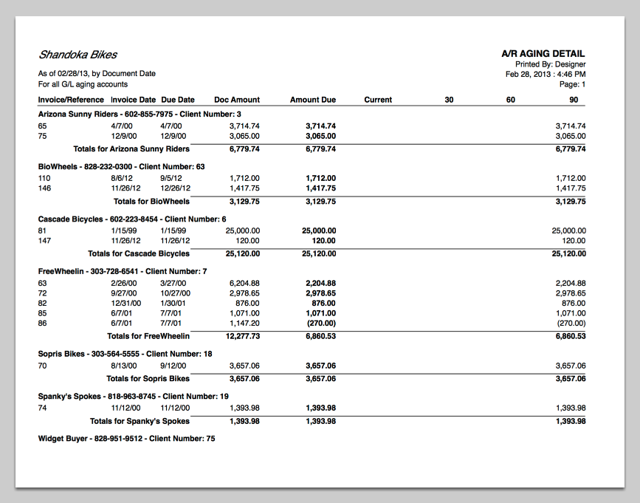 Age By Invoice Date vs. Due Date: The default selected here is chosen in System Setup: A/R & A/P. Aging with be calculated either on the day after the Due Date or the Invoice Date. 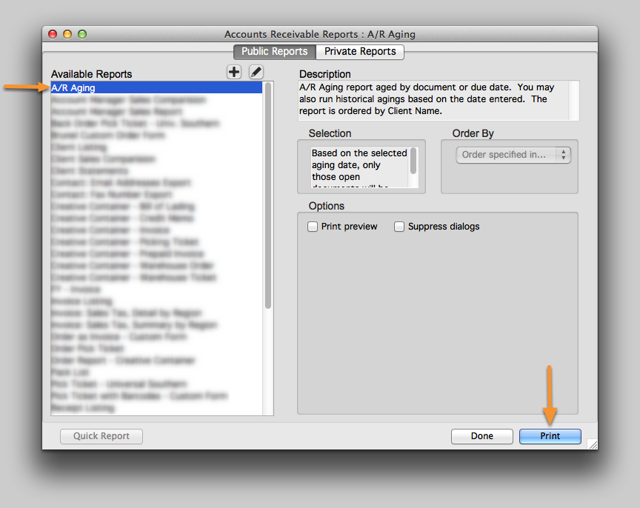 Sort By Name vs. Number/Code: The report can be sorted either alphabetically by Client Name or sequentially by Client Number. Account Number & Name: The Accounts Receivable GL Account is entered here. Zoom: A/R Aging Detail Report.